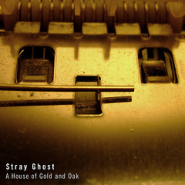 Opening like some foghorn bringing a rave to its close, Stray Ghost‘s one-track release A House of Gold and Oak consists, initially, of a deep tone that rises slowly and warmly (MP3). In time, elements are added — cycling bell tones, an ethereal hum, and more. The cumulative effect is as if dawn breaks the fog, and renders the foghorn less necessary, though it continues to intone, doing its duty right through to the end. The piece is lulling and beautiful — not so much downtempo as nulltempo, a peaceful drone that can serve as background listening, or as a headphone-filling experience. The piece was released just under a month ago on the Phanton Channel netlabel, which is only a few months old, having launched in September. The MP3 link above is to a low-bit-rate version; there’s a higher-def one at the release’s page at archive.org. More on Stray Ghost (aka Ant Saggers) at myspace.com/strayghost, and on Phantom Channel at phantomchannel.co.uk. Thank you for this review. It means a lot to get our label mentioned on a revered site like Disquiet.